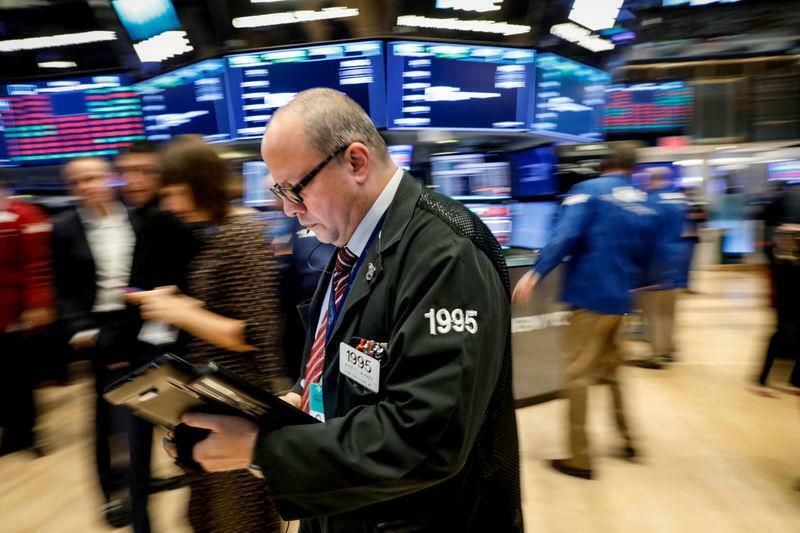 NEW YORK (Reuters) - Wall Street's major indexes edged lower after a choppy session on Wednesday after the Federal Reserve showed broad agreement on the need to raise borrowing costs further, cementing investor concerns that had helped cause a major sell-off the week before. The S&P 500 (.SPX) zigzagged furiously between positive and negative territory after the 2 p.m. ET (1800 GMT) release of the Fed's September meeting minutes. In defiance of sharp criticism from U.S. President Donald Trump, policymakers showed agreement on the September hike and general anticipation that further gradual increases would be consistent with the economic expansion, labor market strength, and firm inflation that most forecast. "In the past several years there's been a strong dovish component. Now even the doves are starting to roll over," said Brad McMillan, Chief Investment Officer for Commonwealth Financial Network, in Waltham, Mass. "The sense of the meeting was more hawkish than investors might have thought." The S&P has only partially recovered ground lost last week, when it marked its biggest decline since March as investors worried about rate hikes. The prospect of a more hawkish Fed was exacerbating equity investor fears of uncertainties, ranging from the U.S.-China trade war and weakness in the housing market to the outlook for earnings, said McMillan. "The market doesn't really know what to think at this point. That's why we're seeing these swings," he said. "With interest rates higher there's a lot less cushion to smooth away those uncertainties." The Dow Jones Industrial Average (.DJI) fell 91.74 points, or 0.36 percent, to 25,706.68, the S&P 500 lost 0.71 points, or 0.03 percent, to 2,809.21 and the Nasdaq Composite (.IXIC) dropped 2.79 points, or 0.04 percent, to 7,642.70. Even before the minutes, trading was already choppy, and the S&P 500 struggled to build on the previous day's rally after disappointing housing data dragged down stocks such as Home Depot Inc (HD.N) and homebuilders. Of the S&P's 11 major sectors, only four ended the day with gains. Financials (.SPSY) was the biggest gainer, closing 0.9 percent higher. Materials was the biggest loser (.SPLRCM), with an 0.8 percent drop. Home Depot shares fell 4.3 percent while the PHLX Housing index (.HGX) lost 1.87 percent. Among the brighter spots was Netflix (NFLX.O), which rose 5.3 percent, after reporting blowout subscriber addition numbers. United Airlines Inc (UAL.O) shares climbed 5.95 percent after a solid third-quarter profit and again raising its 2018 outlook. That also lifted other airline stocks. Declining issues outnumbered advancing ones on the NYSE by a 1.70-to-1 ratio; on Nasdaq, a 1.39-to-1 ratio favored decliners. The S&P 500 posted three new 52-week highs and 11 new lows; the Nasdaq Composite recorded 12 new highs and 76 new lows. Volume on U.S. exchanges was 7.08 billion shares, compared to the 7.9 billion average for the last 20 trading days.